Discussion in 'Lizardmen & Saurian Ancients Discussion' started by Rettile, Nov 28, 2018. Hello, loooong time since i've written here... sadly. By the way, just out of curiosity, I was wondering when Lizardmen had their golden age: what armybook/edition combination made them shine the most? Let's include every warhammer fantasy edition, age of sigmar and the 9th age. Warden, Paradoxical Pacifism and NIGHTBRINGER like this. I think they did really well when they were still using their 7th edition army book under the 8th edition WFB rules. Their magic phase alone made them top tier. Other than that, I always took them a solid army. Not over or under-powered. LizardWizard, hardyworld, Scalenex and 1 other person like this. 7th edition was crazy, but i do think we were above average in 8th. Do not underestimate skink skirmishiers, i think you can make a good argument for them being the best core units in the game. Cowboys and Slann are also nothing to scoff at, if used correctly. I think that we more lacked the tools to beat the most dominant strategies (AKA, cannons), than that our own units were neccesarily bad. It was nothing compared to 7th edition Slann though, so that would be my answer. What he said. 8th edition made miscasts nastier than ever. The seventh edition army book gave us a fairly cheap magic item that could pass a Slann's miscast onto an enemy wizard. There was a cheap Slann upgrade that gave Slann a free power die on every casting attempting. My first tournament was a double's tournament (who was playing 8th edition with a 6th edition Dwarf army book). We steamrolled the competition. 6th edition under the Ravening Hordes rules was pretty potent too but I only got to play that a little bit until they posted some interim rules in a White Dwarf which nerfed Lizardmen a lot (though it did give us Chameleon Skinks for the first time). LizardWizard and Warden like this. Does that mean Dwarves didn't get an army book for two whole editions of the game??? They got an 8th edition army. One of the last armies to get the update. They only had to go through all of seventh edition with no army book. LizardWizard and Lord Agragax of Lunaxoatl like this. Ah, ok. Not that bad then I guess (unless the rules didn't really fit), more like the current situation of the Seraphon in AoS. LizardWizard, Warden, Lord Agragax of Lunaxoatl and 2 others like this. What he said. Compare that to poor Bretonnia who did have to wait through 2 whole editions only to get no book and then all their minis ditched. Yeah... they really did draw the short straw! Empire was definitely GW's favourite of the two. Leaving aside the other points already made, why boring? While I don't particularly like them, I don't hate them nearly as much you do. 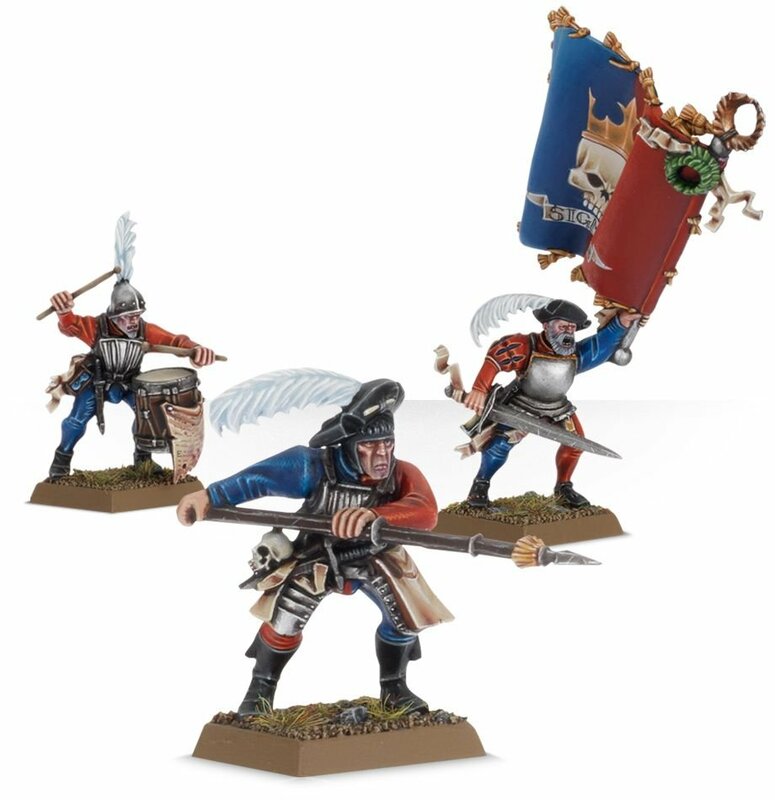 Here they’re actually advancing forward weapons at the ready, rather than squatting like HeroQuest Orcs and Goblins, and their heads also look more realistic, more like ordinary blokes rather than half-trolls. In any case, to each their own, and sorry @Rettile in advance for derailing your thread. I would agree that the 7th edition was probably the Lizardmen high point. That codex built upon the 6th edition to make them even more powerful (to include the magic) that was eclipsed when 8th came along with the brand new miscast table. Then again, this switch from 7th to 8th made Slann less of a mandatory auto-include, allowing the Oldblood on Carnosaur to be taken to the table more often. Speaking of auto-takes, for heroes i easily name Tetto Eko . The guy was cheap and insanely good. Agreed, he is by far our most cost effective special character. After him we have a couple that can be good, namely Gor-Rok and Kroak, but outside of them the remainder of our special characters are either sub-par or downright awful. This is my kind of post! Personally I think Lizardmen were at their strongest in 6th edition, with 7th as a close second. 6th edition Slann was broken beyond all belief. Long live the skink cloud! Wow, I'm really good at late replies on my own posts: you can say I'm still recovering after the brutal wave of Chaos that GW released upon us just like Slanns have slept for centuries after the first war against Chaos. Their magic phase alone made them top tier. So true! I used to play a big TG+Slann unit with lore of Life: TG with toughness 8 were great against elves. Actually against anything... Good times. Always my favourite character, both fluff and in game. Kroak bomb lists could Be brutal and i loved ti play him together with Tetto! Personally I think Lizardmen were at their strongest in 6th edition, with 7th as a close second. 6th edition Slann was broken beyond all belief. After reading 6th edition slann i think i Can understand, but i've never played 6th edition so i cannot judge. Oh, I'm remembering my awesome skrox darts and salamanders with march and shoot... Good old times!